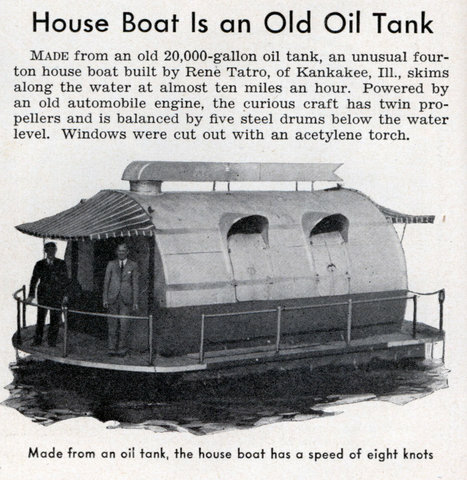 Made from an old 20,000-gallon oil tank, an unusual four-ton house boat built by Rene Tatro, of Kankakee, Ill., skims along the water at almost ten miles an hour. 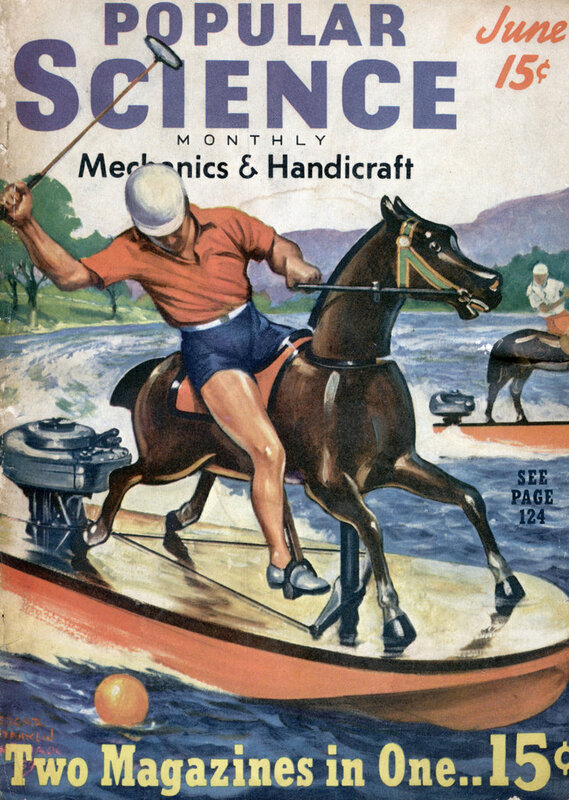 Powered by an old automobile engine, the curious craft has twin propellers and is balanced by five steel drums below the water level. Windows were cut out with an acetylene torch. Here’s a slightly better house boat, made from an oil tank – Link. Previous: Homemade houseboat – Link…….